With the right theme, your WordPress site can be anything from a company website to an e-commerce destination. Get a lifetime subscription to TeslaThemes WordPress Themes for $59 at SitePoint Shop. You donâ€™t need to hire a designer when youâ€™ve got this Developer Plan at TeslaThemes. Their libraryâ€™s already got 37 themes to choose from, with 24 new ones added every year. Choose from themes tailored to blogs, e-commerce, marketing, nonprofit causes, educational institutions, magazines, news sites, and more. Youâ€™ll get the full PSD file for every single theme, so you can customize it to your heartâ€™s content. Save on designer fees. 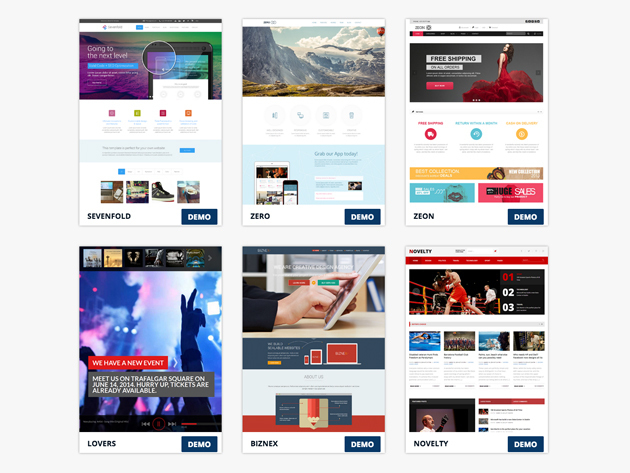 Get a lifetime subscription to TeslaThemes WordPress Themes for $59 at SitePoint Shop.